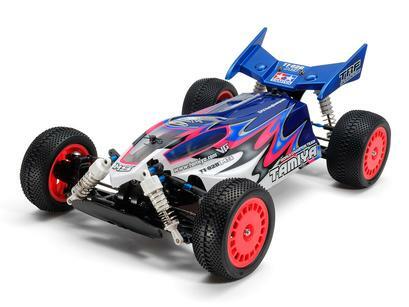 The TT-02B chassis is a highly popular entry-level shaft-driven 4WD buggy. 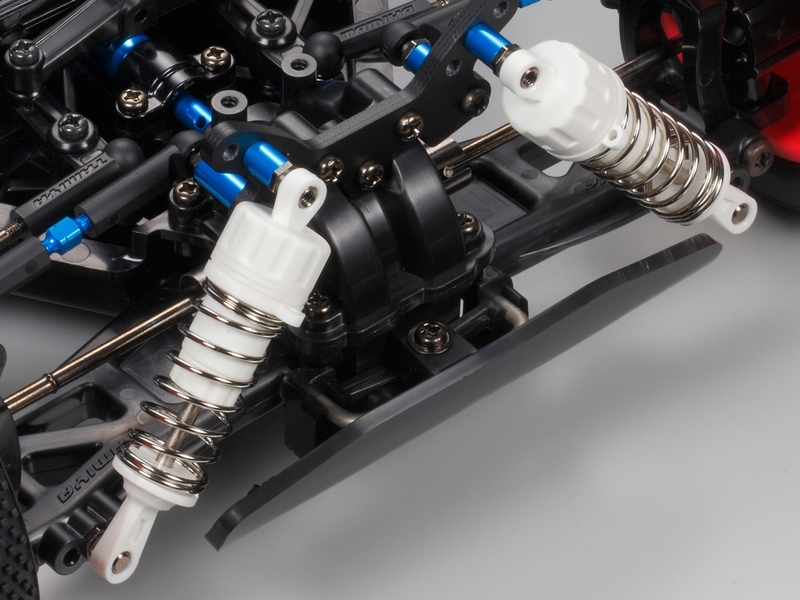 This version gets a makeover with a number of option parts for enhanced performance! This variant also receives the familiar TRF MS-design stickers to decorate the included Dual Ridge body. Special Feature 1 Long suspension arms and white CVA oil dampers. Special Feature 2 Excellent drivetrain efficiency thanks to full ball bearings, plus aluminum propeller shaft and joints. Special Feature 3 Features large, fluorescent pink dish-type wheels. 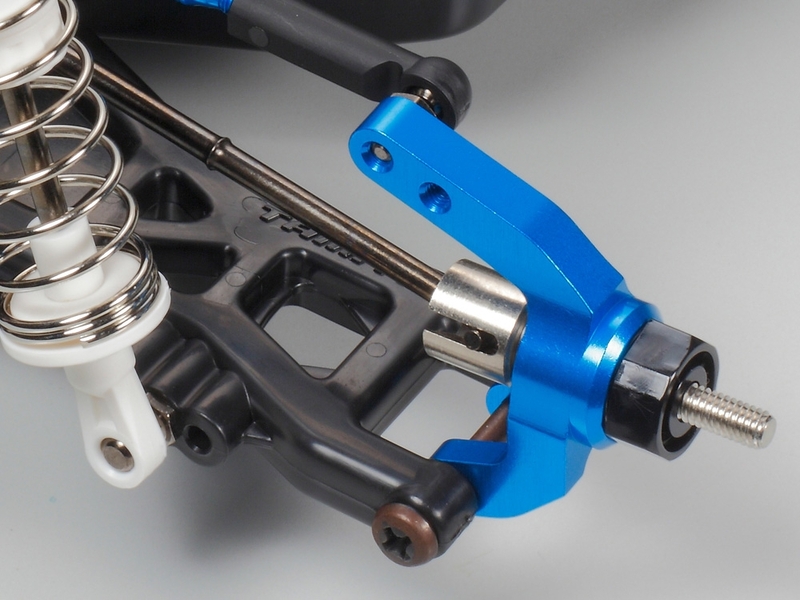 Special Feature 4 Lightweight and rigid FRP damper stays sharpen the suspension, and offer a range of setup options. Special Feature 5 Includes durable polycarbonate Dual Ridge body, rear wing and TRF MS scheme marking stickers. Special Feature 6 Aluminum rear uprights ensure that the TT-02B MS retains stability when cornering. 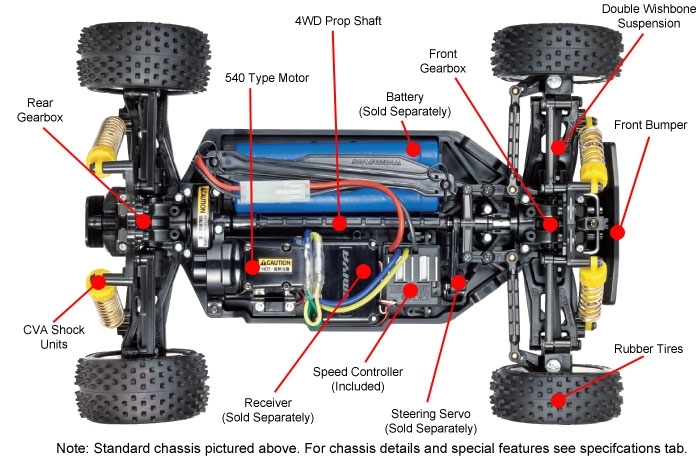 Special Feature 7 Enclosed front and rear gear cases have built-in gear differential units.